Yup yup. Once again I visit Doc to get tattooed. As you can see I got two. 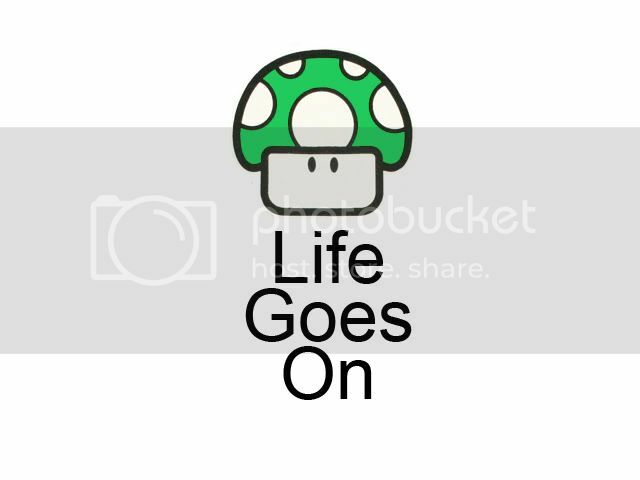 One is a 1up mushroom with a phrase underneath that you can see in this picture. It's not it exactly but it gives you the idea. They second as you saw is a comic strip with question marks in em(it symbolizes wondering what will happen next). "And it's just. Something that I've been dying to let you know. And now that' you're gone. I'm holding on and I just can't let go."